I adore fresh bread. A restaurant can draw me in just by serving fabulous bread before my main meal arrives. Having warm and flavourful bread to start a meal or round out a buffet table is a treat at home too. For as much as my family enjoys fresh bread sticks made from scratch, I don’t always get around to making a batch because of the rising time. A quick-rise dough leavened with baking powder makes a handy alternative to yeast dough. 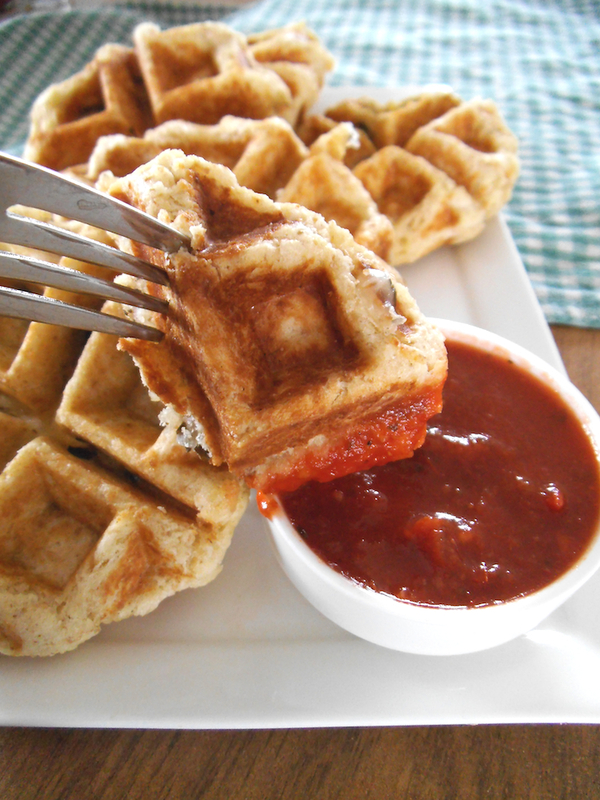 Inspired by this idea for savoury waffles, I decided to make some better-for-you pizza waffles using whole wheat flour and nutrient-dense lentils! 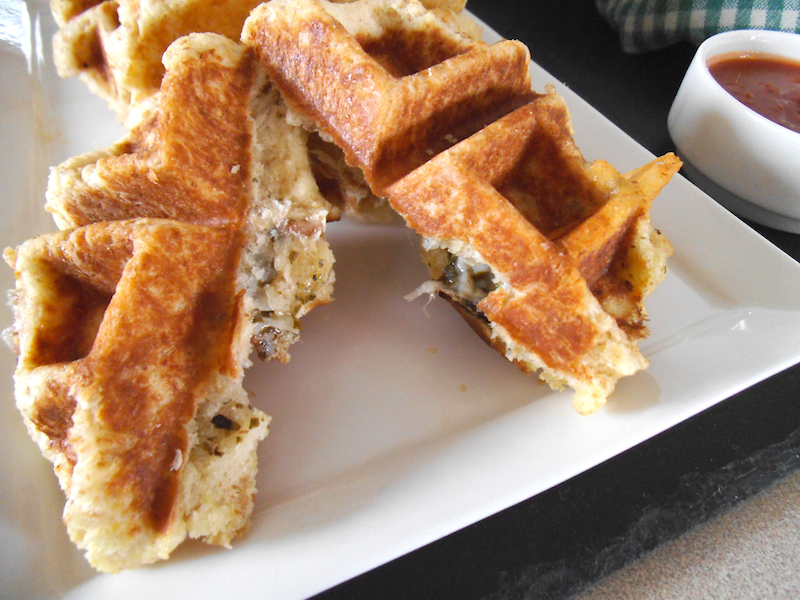 These waffles are packed with pesto flavour and are also super quick to cook in the waffle iron. In about 30 minutes you can make a crispy, delicious appetizer that goes well with any Italian entrée you can think of. 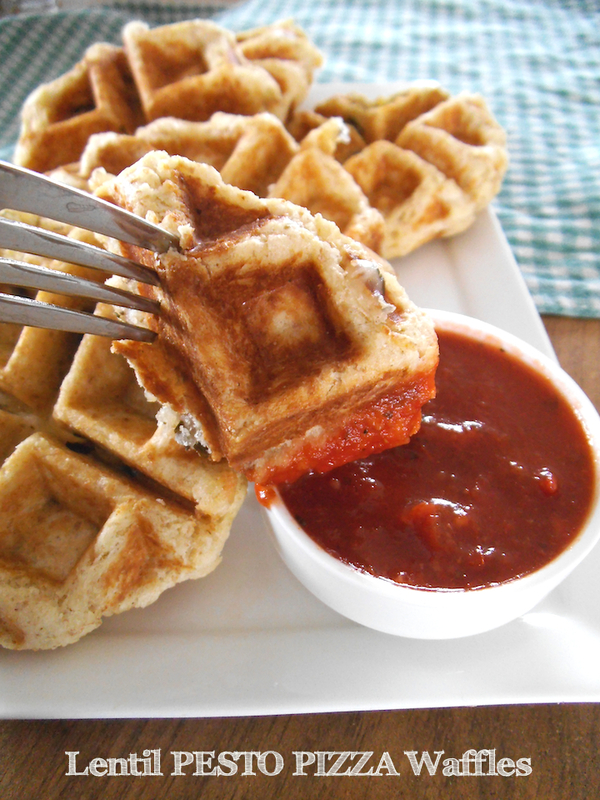 These pizza waffles will also make a great packed lunch the next day. I made some waffles with cheese, and some without. Both versions were fantastic and full of Italian flavour! So those of you who eat dairy-free or vegan can still enjoy the waffles as much as everyone else. You may have noticed that I am a big fan of lentils. These waffles are so delicious that I will be entering them in the 2015 Canadian Lentils recipe contest as well, this time in the appetizer category. Whisk together flours, baking powder and garlic salt. Blend with pieces of cold butter, using your fingertips, a pastry blender or a food processor, until even crumbs form. Whisk together lentil puree with honey (or syrup) and milk. Pour the liquid mixture into the dry ingredient mixture and stir together until a dough forms. Do not over mix. Divide the dough into 8 equal pieces and form into round biscuit shapes with your hands. Preheat a waffle iron. Use a sharp knife to cut a deep slit and form a pocket in each round of dough. Fill with 1 teaspoon pesto, 3 to 4 olive slices, and cheese, if using. Seal the open edge of the dough. Into the greased waffle iron, place the filled dough in the center of the iron. Close the lid slowly. Cook until golden brown and the middle of each pizza waffle is cooked through. Keep warm. Serve with marinara dipping sauce. I’m also bringing my recipe to Fiesta Friday, Savoring Saturdays, and here. Wow!! I’m almost ashamed to admit that I’ve never had lentils… eeeeek! But these would definitely make me a convert! I can just imagine that wonderful pesto flavor… yum! Aren’t waffles great? Now I’m dreaming of other things to waffle. Thanks for stopping in, and have a lovely weekend! Pizza waffles, now that’s such a gorgeous creative idea. Adore it and they sound absolutely delicious. Perfect party food, thank you for bringing to the party!! These are genius! I’m a major legume fiend – actually baked blondies using them again today – but would have never thought of waffles. 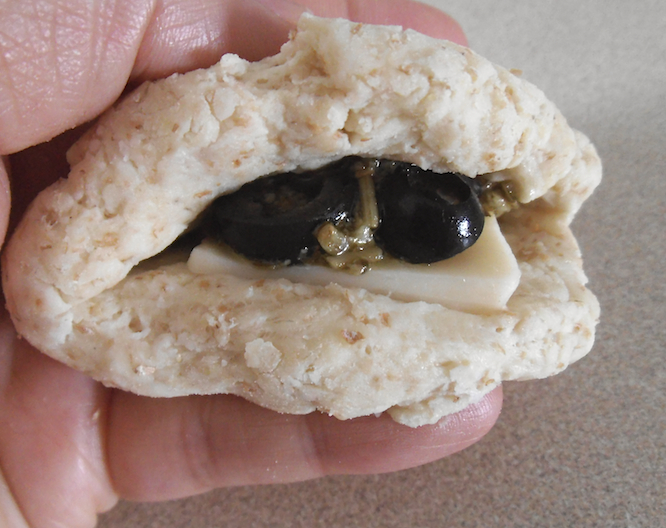 And with olives, cheese and marinara for dipping? Win! Thanks! I hope you get to enjoy them soon! Lentils are so quick and versatile. Probably not as I don’t own a waffle iron 😦 . But I’ll keep the idea in mind. Haha, yes, I don’t own one of these, either. And yes, there are [unfortunately] limits 😉 . This is an amazing idea! I am a big fan of lentils (being a vegan, they make a regular appearance in my meals lol). I really need to buy a waffle iron so I can make these!! I have a waffle iron like this: http://www.amazon.com/NordicWare-Aluminum-Stovetop-Belgium-Waffle/dp/B00004W4UE (not an affiliate link) 🙂 I like that I don’t have to plug it in. What a wonderful idea. I love pizza in all forms. Yet another reason for me to get a waffle iron (I’ve been batting around the idea of getting one but I have a tiny kitchen and not much room for new gadgets…but maybe). Thanks, Kat! I’ll see what I can do. 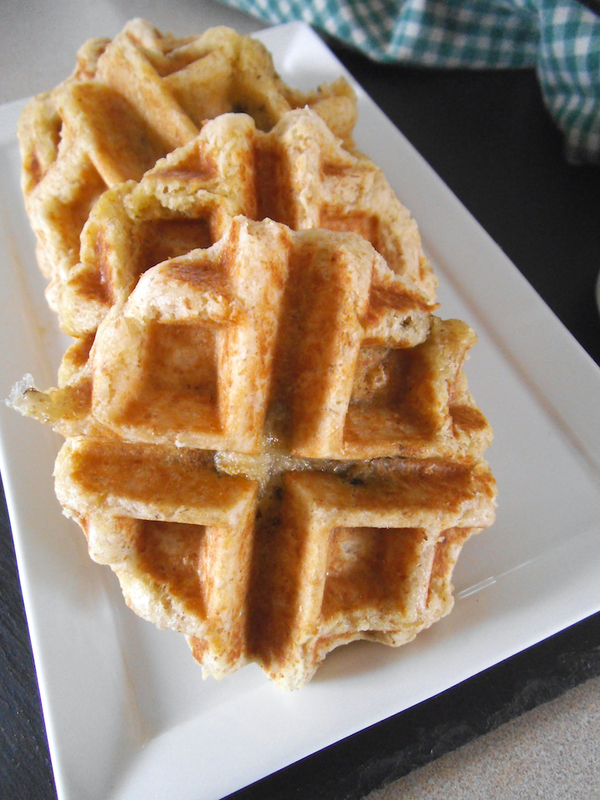 Wow, lentils in waffles is such a great idea! So creative! They look delicious! Thanks, Kelly! And Happy Lunar New Year to you this week! These are great! I must figure out a gluten-free version of it. 🙂 Thanks so much for sharing them at Savoring Saturdays – I’m going to feature them at this weekend’s party! 🙂 Hope to see you there! I would love to try a gluten-free version of these, Raia! Please let me know when you have a winner! And thanks for the happy news! I’m looking forward to the party! Thanks for sharing with us at Merry Monday. 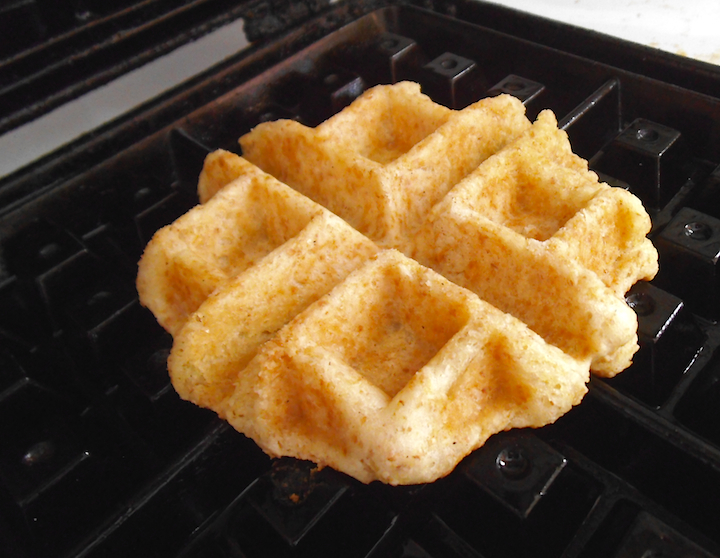 I love that you used the waffle iron to make these! I have a post about making corn bread in the waffle iron, it gives it a great flavor! This post will be featured at Merry Monday #42 which goes live tonight at 6pm PST. You have been Pinned to our Merry Monday Features board! Please stop by and grab a Featured button! 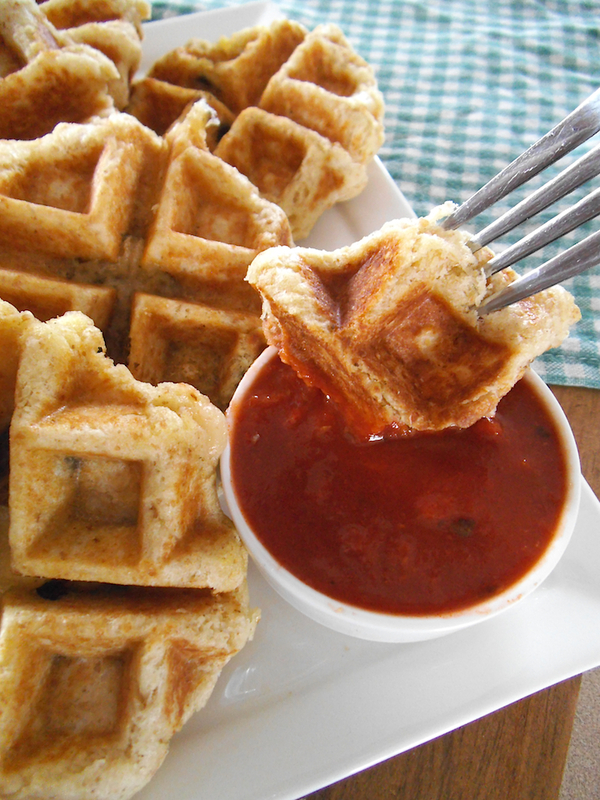 These pizza waffles sound amazing!! I love waffles. Thanks for sharing your recipe.